We are volunteer-powered and community focused. The Carrot Community Arts Coffeehouse is the headquarters of Arts on the Ave, an organization started in 2005 that is committed to offering the arts pulse of Alberta Avenue through their many unique community programs. 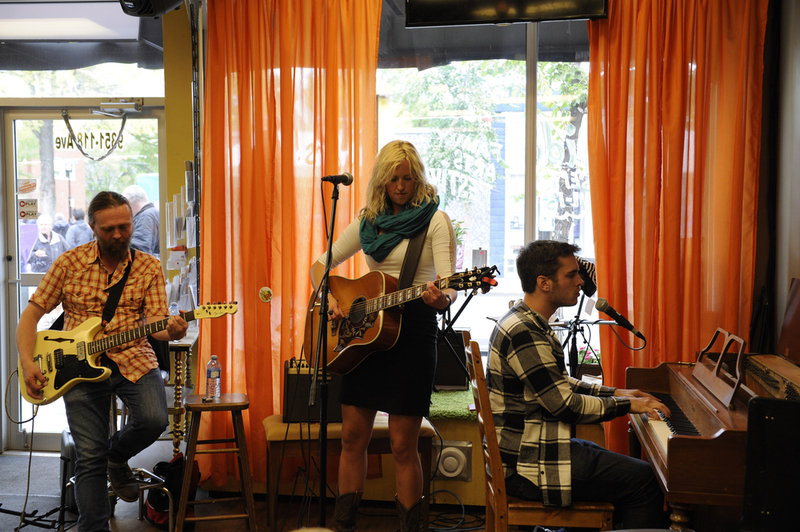 The Carrot was opened in 2007 as a physical space for Arts on the Ave and community members to meet. It began its life on a six-month trial as a volunteer-powered, not-for-profit coffeehouse. Nine years later, it’s still volunteer-powered, community focused and growing strong. The Carrot has become a bohemian, comfortable hub for meeting and making friends, enjoying various art forms and connecting people. Art is not the only great offering at The Carrot. Thanks to the mentorship of Geoff and Joanne Linden of Credo Coffee, The Carrot team serves what they believe to be the best coffee available: Intelligensia, a high-quality, direct trade bean that is delicious and socially responsible. Pair that with our local rustic baking and you're in for a treat. Our love story is because of our volunteers, artists and patrons. Community and creativity is the heart & soul of The Carrot and Arts on the Ave and we are seeing more and more people become invested with a very strong sense of community and a real ownership of our neighbourhood. We're excited for all the great things to come in the next 9 years! The Carrot Community Arts Coffeehouse is an interesting and unique location to hold your next meeting or event. We routinely host private celebrations, board meetings, community groups, language groups, and crafting/artist circles. Email our operations manager for more information. Now you can donate online (one-time or monthly) and receive a tax receipt for your much needed support. You can specify that you would like your donation to go directly to supporting the Carrot Community Arts Coffeehouse by choosing it from the drop down menu.